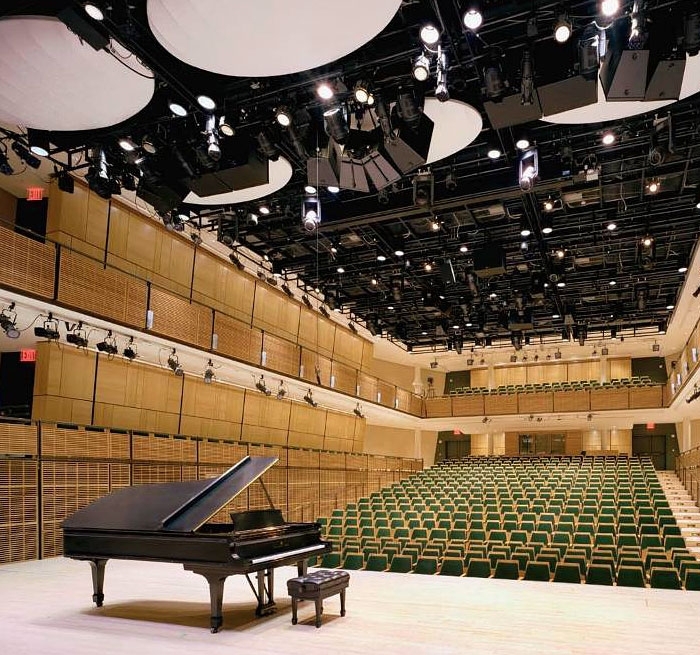 Beginning with the schematic design phase in 1998 and working in close collaboration with Polshek Partnership Architects (now Ennead Architects), Auerbach Glasow provided architectural lighting design for the restoration of the Judy and Arthur Zankel Hall to its original incarnation as a recital venue. The scope included the Hall, exterior canopy and street level entry, mezzanine and parterre lobbies, and back-of-house dressing rooms. Reminiscent of lighting in the existing historic canopies of Carnegie Hall, the exterior maintains the spirit of the original period façade, while the lobbies utilize more contemporary wall lighting elements to reflect the historic nature of the building. Architectural features are strongly emphasized, particularly the canted elliptical wall – a major feature of both parterre lobby spaces; this effects a luminous quality in the space, while deflecting the perception that the visitor is below street level. In the audience chamber, a series of movable overhead lighting trusses, allowing access and flexibility to both stage and house lighting, support the space’s multi-configuration capabilities. Rich architectural finishes are revealed through careful illumination of surfaces; jewel-like custom sconces adorn the balcony edge. All architectural lighting sources throughout the space are dimmed through a control system that may be linked to the theatrical lighting system or operated independently. 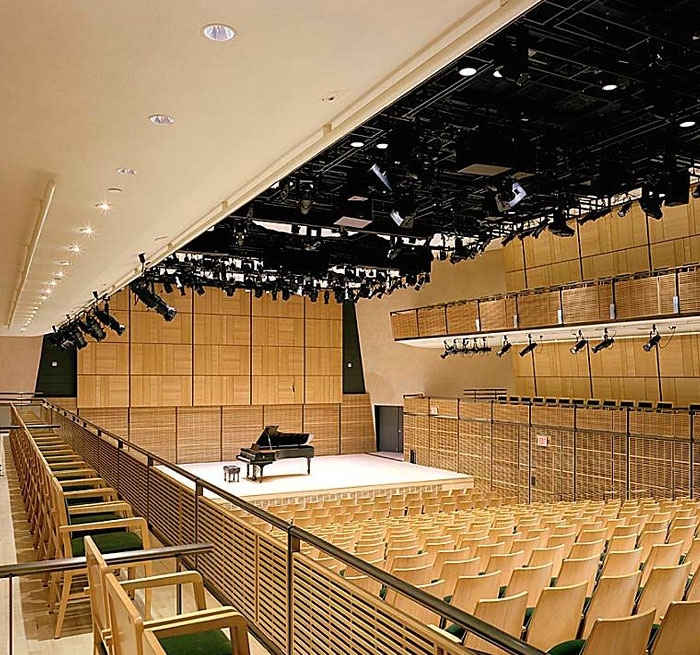 Fully-automated architectural lighting settings move from one configuration to the next with the push of a button, or as a pre-programmed timed event, allowing the achievement of many different moods in both lobby and audience chamber.